"Sports values" that are difficult to explain with words are explained through manga and illustrations in a way that is easy to understand. What is "fairness" in sport? Does fairness only matter for you? Who creates fairness? Discover where "fairness" is embraced outside of sporting field! What is the "power of sport"? What would happen if the power of sport is in threat? What would that situation be? 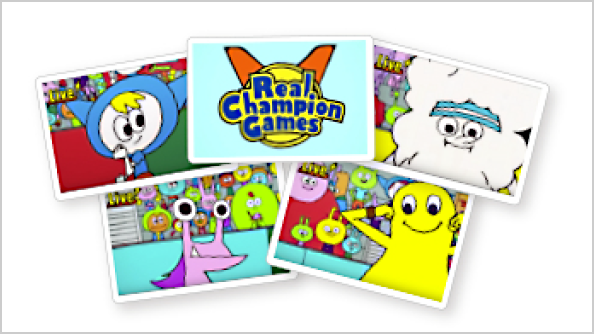 Let’s explore and discover in "Play True Games". 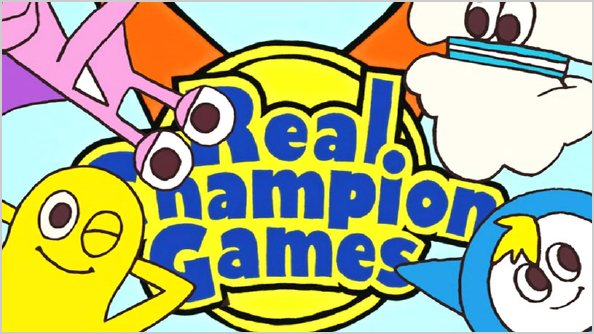 Anyone can find and create your "Real Champion Moment"!? What moment derives from athletes, and how will it be relayed? And... how about YOUR "moment"? 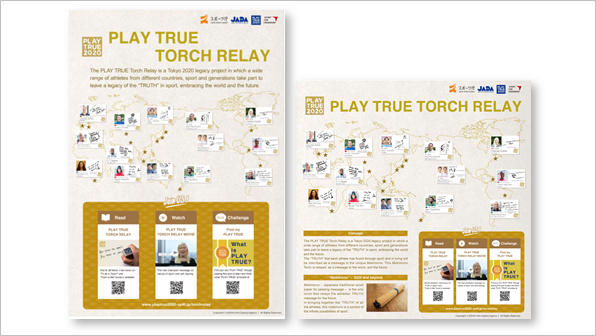 2 posters on PLAY TRUE Torch Relay to distribute the values of sport. 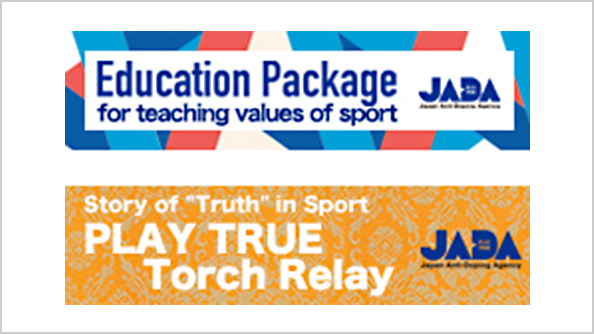 *Recommended to display at venues of sport events, accommodations for training camps, or even schools. "New MO!" Rule Introduction Movie_Full ver. 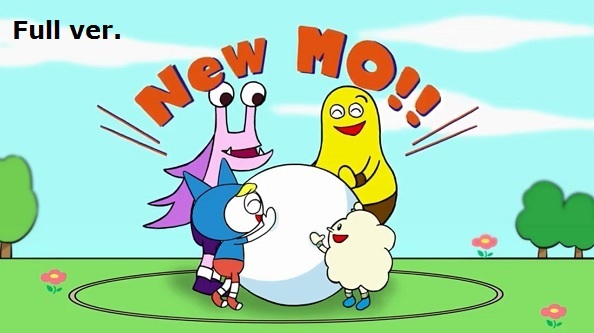 “New MO!” is a new sport and learning tool to think and embody the values of sport. - Request for the downloadable data as a Full version (All-3-chapter-in-one version). 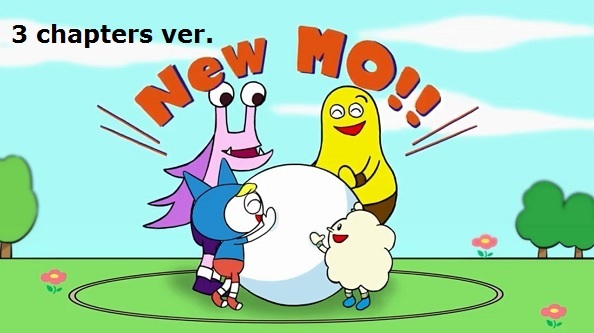 *60min "New MO!" Lesson Plan is coming soon (by the end of February 2019). "New MO!" Rule Introduction Movie_3 chapters ver. 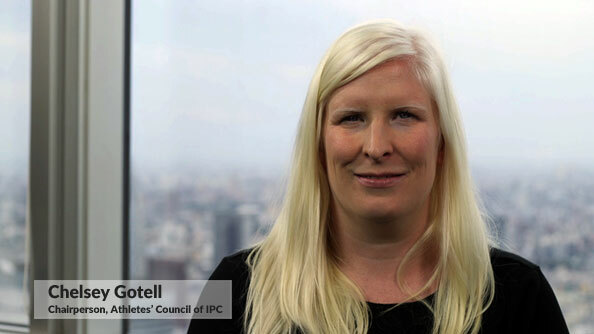 What can we do to protect the values of sport from doping? To be a real champion, what the values of sport should be relayed to the future? Actions and ideas of the athletes around the world help you to find what you can do to protect the clean sport and create the future of sport! 5 photos illustrating the power of sport. 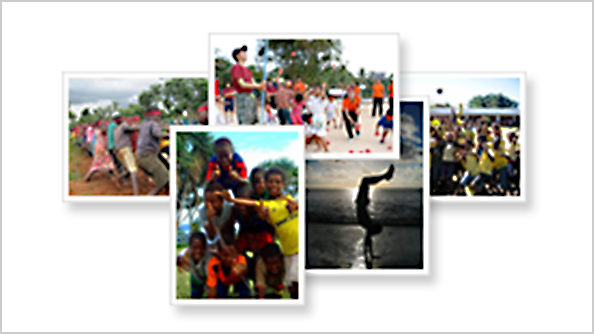 Photos can be used to connect how the power of sport is related to society or daily life. Flash Card: "Is It fair?" 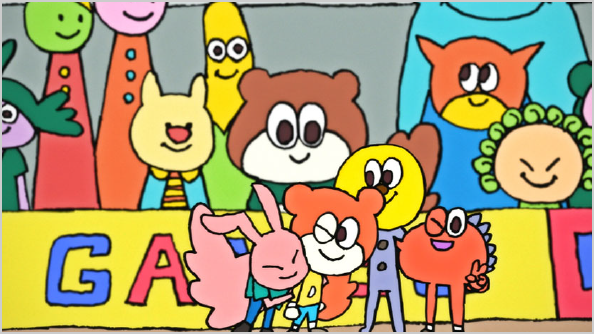 Selected scenes from Manga Education Movie, "Is it fair?". Possible to be used at any situation, such as for discussion, group work or role play. Flag to sign your names with your messages, thoughts, or even commitment to your sport. 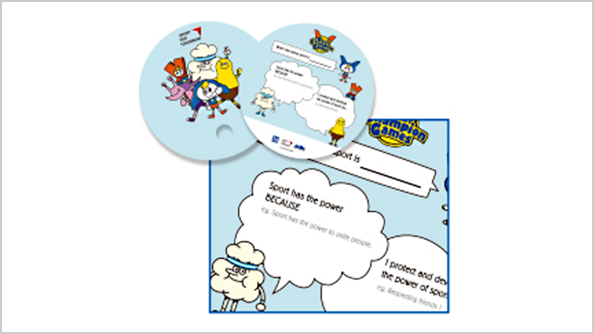 Activity Sheet freely used with 3 free questions to tailor to your needs. The activity tool to think and share "what you like about sport" and why "the power of sport" is important. 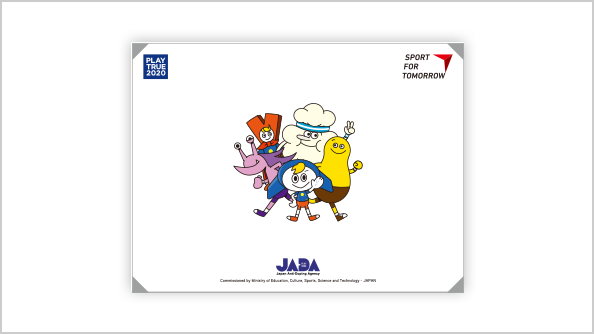 Use together with MANGA movies to express how you can do to protect and develop the power of sport. 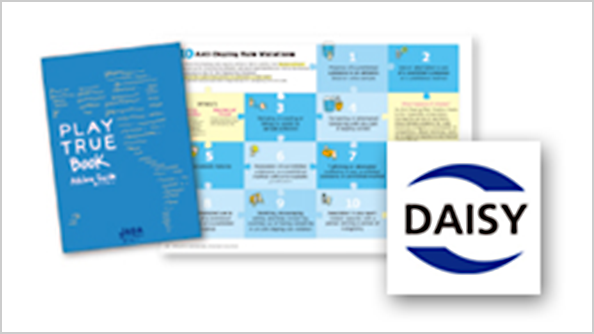 Comprehensive anti-doping rule book for athletes and support personnel. 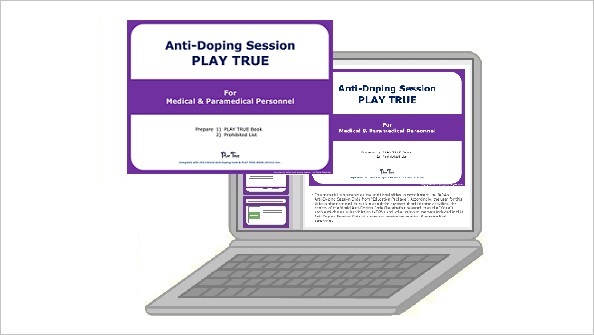 *Recommended to use along with the "Anti-Doping Session Slide" to deepen understanding. 2 Posters based on the PLAY TRUE Beginners Guide. 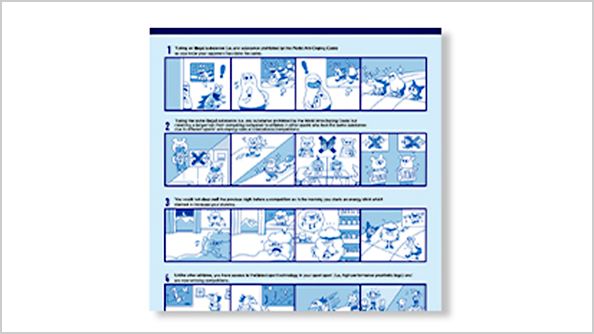 *Recommended to display at venues of sport events and accommodations for training camps. Additional slides and instruction manual targeted for Medical and Paramedical personnel. The user for this slide is expected to explain about the purpose of anti-doping activities, the priority of the World Anti-Doping Code, each anti-doping rules violation (ADRV) and other relevant matters. A teaching material in quiz format where you can choose from three levels. Level 1: for people (esp. kids) who have never heard about doping and/or anti-doping. 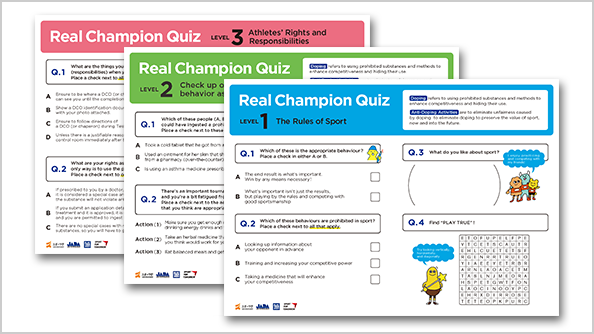 Level 2: for people who have heard about doping and anti-doping. Level 3: for people (esp.athletes and support personnel) who have taken an anti-doping session before. *Recommended for outreach programs and anti-doping seminars. 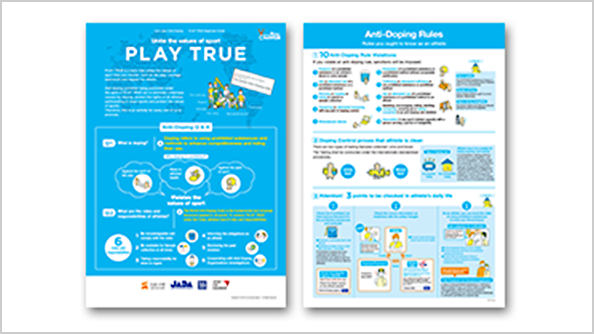 This is a document which simplifies PLAY TRUE BOOK and outlines the rules on anti-doping. Ideal for the "beginner athletes", youth athletes and those will likely be tested for first time. The content is produced in the format of DAISY2.02 Full Text Full Audio. 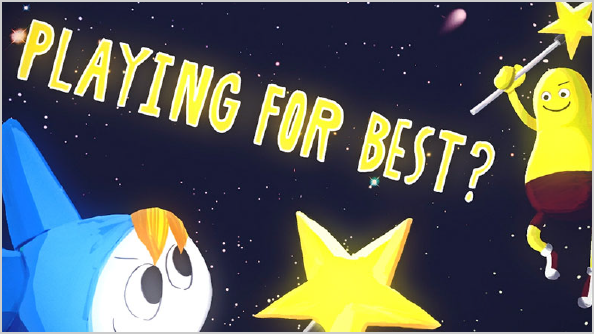 Either software or a player for DAISY is necessary. This content includes Dolphin's EasyReader Express, DAISY playback software for Windows PC. 1. Decompress the zip file and double-click on DERE.exe in the folder. 2. EasyReader Express will start up. Anti-Doping Rules Book for Athletes and Support Personnel. Basics and applications regarding athlete's roles and responsibilities. 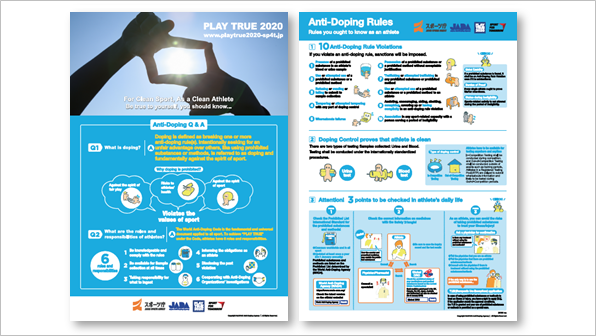 Recommended to use along with “Anti-Doping Session Slide “ to deepen understanding. *The latest version = 201902 ver. 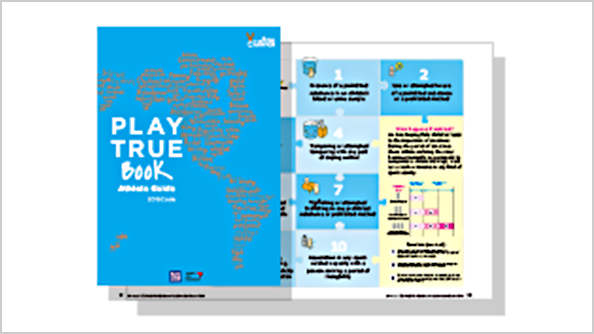 Power Point presentation with talking point, the contents of PLAY TRUE BOOK and tips for explanation. Any Support Personnel can be accustomed to use easily. Add our banner image to your website as a quick link for educators. Thank you!